All aspects of leadership development and education will promote the practice of intellectually and ethically reflective leadership. The knowledge, skills and dispositions we seek to develop in the cohorts of students selected for the Public School Principals Summer Masters Program need to reflect and sustain these core competencies. They are also substantially present in the guidelines developed by ELCC and New York State for the certification of school building leaders. However, we seek to exceed the competencies of "good principals" and develop the intellectual, moral, and practical foundations that will permit principals of excellence to emerge. Excellent principals are developed over many years in the cauldron of reflective school leadership. The best academic programs support such emergence by providing a rich, complex and adaptive learning environment that mimics closely the actual competencies required and provide frequent and prompt feedback. The Summer Principals Academy provides exactly that kind of environment promoting respect for and encouragement of cohort participants as they seek to become great school leaders. Toward the ideal of enabling all people to achieve maximum benefit from their educational experiences, the Stanford University School of Education seeks to be a world leader in ground-breaking cross-disciplinary inquiry that shapes educational practices, their conceptual underpinnings, and the professions that serve the enterprise. The School also seeks to develop the knowledge, wisdom, and imagination of its students to enable them to take leadership positions in efforts to improve the quality of education around the globe. The domain of education is broader than formal schooling. It encompasses learning activities that occur in places such as families, religious institutions, museums, prisons, counseling offices, business, and industry as well as schools. It may be mediated by television, newspapers, magazines and computer technology as well as by books, journals, and classroom discussions. Education is concerned with the development of physical and interpersonal skills, emotional and attitudinal predispositions, character formation and work habits, as well as cognitive abilities and subject-matter expertise. Hence, while the improvement of schools is a major focus of our scholarly and teaching activities, it does not exhaust the range of educationally relevant challenges that interest our faculty and students. As a part of the larger institution of Stanford University (one of the world’s major universities in both research and graduate training), the production and dissemination of educationally relevant knowledge must be the sine qua non of the School of Education. The School must be at the cutting-edge in all of its research and training activities as it explores possible ways of improving educational practice. Furthermore, like Stanford itself, the School of Education should make contributions that may well have international applicability, and it should attract talented students from around the world. Theory and practice are interrelated in strong and mutually fruitful ways—each can, and should, inform and stimulate the other. Efforts to improve the quality of education benefit from the close integration of theoretical understandings with practical applications. The School of Education has a special commitment to the improvement of the teaching and educational administration professions by bringing its research and scholarship to work collaboratively in solving problems and meeting novel challenges arising out of everyday practice and reform. Nevertheless, by “practice” we also mean not only the work of teachers, counselors and administrators but also the necessary planning, training, research and development activities that enable this work to take place. Practice includes activities such as policy formation, program evaluation, the development and testing of models for learning, teacher education, and education administration. It also includes activities designed to improve educational assessment, administrative processes, research methods, curricula, counseling and teaching techniques, and education-related technology. The most important problems in human affairs, and certainly in education, are so complex that no one problem-oriented or disciplinary perspective can provide all the answers. Thus, the School honors disciplinary diversity and respects different approaches to educational issues; there is mutual respect for “distributed expertise” on the faculty, and an atmosphere of civility in discussing differences among viewpoints. While the faculty are free to develop and pursue their own research agendas, the School has a strong commitment to the ideal of making quality educational opportunities available to everyone. Individuals who have borne the brunt of social problems and inequities may be particularly in need of assistance in making the most of their education. None of this is to be interpreted as suggesting that the education of other students ought to be ignored; but as we come to understand what education is at its best, we also must be committed to achieving these advantages for all learners. While both doctoral and master’s degree students can profit from traditional course work and assignments, these procedures by themselves are limited in value. If students are to make an impact on educational practice, they should hone their skills in realistic settings. Thus, faculty should arrange for students to enter well-planned and supervised experiences in practica, fieldwork, apprenticeships, internships, and research projects. This principle applies equally to students in programs of professional preparation and to those whose career trajectory is oriented more toward research or policy formation and analysis. As well as having a world-class faculty, the School of Education attracts a diverse and talented body of students who can contribute their wisdom and experience to the educational endeavor. The School seeks to capitalize on these rich resources by acknowledging the roles that faculty and students can play in educating one another. The School of Education enjoys skilled and talented support staff members who sustain and strengthen its administrative processes, educational programs, student services, and research. The School has a strong commitment to maintaining and enhancing the professional vitality of its members of staff, ensuring that they continue to play an integral role in our success. Since its founding in 1920, the Ed School has been training leaders to transform education in the United States and around the globe. Today, our faculty, students, and alumni are studying and solving the most critical challenges facing education: student assessment, the achievement gap, urban education, and teacher shortages, to name just a few. Our work is shaping how people teach, learn, and lead in schools and colleges as well as in after-school programs, high-tech companies, and international organizations. The HGSE community is pushing the frontiers of education, and the effects of our entrepreneurship are improving the world. The School of Education is a national leader in its field and a highly regarded academic unit. Its programs of teaching, research, and service advance knowledge about education and improve educational practice in important ways, not only in Michigan, but nationally and internationally as well. At the same time, the School faces difficult challenges as educational institutions at all levels experience unprecedented demands for change and improvement. The School of Education recognizes its responsibility to play a leading role in helping others meet these demands while meeting them itself. The University of Michigan also must respond to demands that it address important educational problems in society. A strong School of Education with creative leadership, superior knowledge production, and key roles in improving professional practice can help the University achieve its goals and meet its responsibilities in this regard. Both the University and the School of Education must become deeply involved in the reform and betterment of American education. The enlightened self-interest of the University requires such involvement, not only because K-12 schools provide the University with its diverse and high-achieving student body, but also because the University's key constituencies demand such leadership in return for public support. To guide our work and to meet the ever-changing demands of educational reform, the School of Education Executive Committee uses an on-going planning process. This statement summarizes the current results of our planning efforts in terms of mission and goals, societal and university challenges, recent improvements, and planned developments. The School of Education's mission focuses on the improvement of learning and teaching in educational settings. We value the importance of teaching and research within a major research university and we seek to balance these activities with our obligations to serve the education professions. Striking such a balance depends on three key ideas--centering our research squarely on the improvement of educational practice, offering high quality programs of instruction for present and future educational practitioners, and collaborating directly with other educators to improve practice. The idea of this balance is incorporated in our mission. 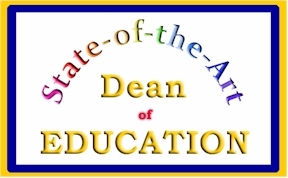 The mission of the School of Education is to improve teaching and learning at all levels of education through the development of leading programs of teaching, research, and service. To pursue this mission, four goals guide our decisions and actions. These goals call for the School to focus its scholarship on issues of learning and teaching, offer exemplary programs of instruction, apply knowledge to improve educational practice, and increase diversity in staffing and curricula. In discussing each goal, we will first elaborate on the challenges from which it arises and then outline our recent improvements and new developments designed to achieve it. Goal 1: Using diverse intellectual perspectives, the School of Education will focus its scholarship on issues of learning and teaching in educational settings. Goal 4: Reaffirm and revitalize the School of Education’s commitment to diversity. As educators, we face the incredible challenges of unifying an ever more diverse American population and helping all nations work together in a society transformed by advancing technology, rapid transportation, a global economy, and the spread of democracy. Through access to free, quality education - preparing people for change and helping them realize their full potential - we have the power to shape the 21st century into a peaceful global community where the quality of life for all people is enhanced, rather than a fragmented world of violence. It is an enormous responsibility - and an exciting opportunity. To meet this responsibility, educational institutions must show leaders how to implement major change - invent new methods, new roles, and new organizational structures to reach all citizens. The Graduate School of Education and Human Development, known for its innovative work in fields ranging from infant special education to human resource development, is a model of change. Graduate School of Education and Human Development faculty are involved in restructuring our school and refocusing our curricula. Our entire organization is continuously improving in order to teach others how to educate more effectively. If you want to be deeply involved in shaping the future, this is the place to be. Join us and prepare to lead the way through the 21st century.